We were delighted to hear that there is another front runner in the political fashion charts. Miriam, eco-conscious wife of Lib Dem leader Nick Clegg, was spotted sporting a shoulder bag made by Golden Goose PR client and charity, Bottletop. The piece was hand-made in Brazil from 1000 recycled silver aluminium ring-pulls. Miriam bought the bag from Eco Age, a Chiswick store run by Livia Firth, wife of actor Colin Firth. Sales of these bags go to Bottletop’s programme empowering young people through sexual health education. 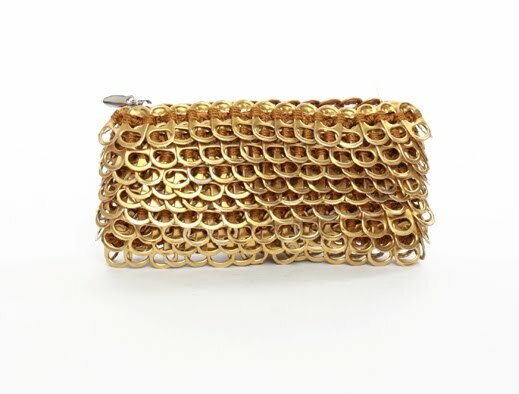 Stay tuned for the launch of Bottletop’s limited edition gold Luciana clutch bag available from mid-April at www.bottletop.org.